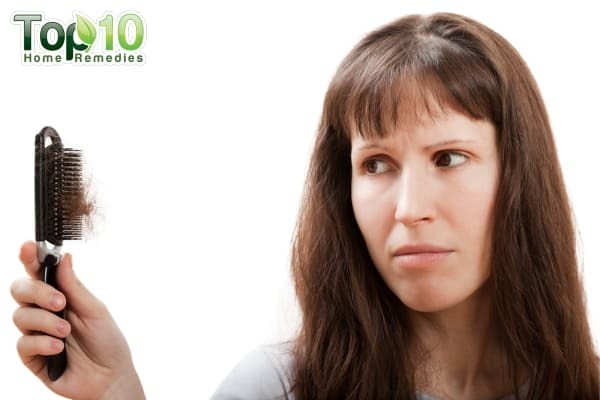 Home » Home Remedies » Home Remedies for Rosacea: What You Should Use? 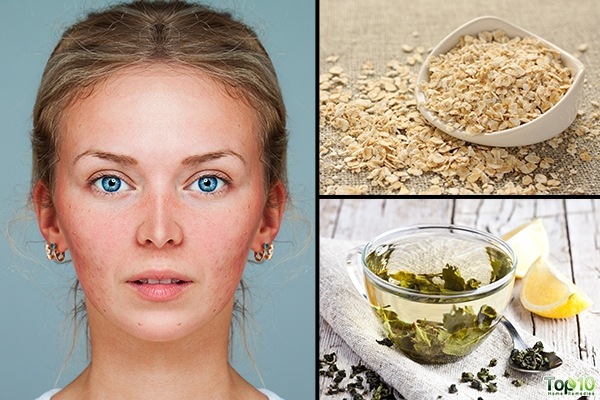 Home Remedies for Rosacea: What You Should Use? Rosy cheeks have been a beauty statement among women since eons. A sudden surge of adrenaline can also leave you blushing with flushed cheeks. Rosacea is a similar condition that gives your skin a blushed appearance lasting for years. And this is definitely not what you are striving for. Rosacea presents itself on the face, notably on the cheeks, nose, chin, and forehead as skin inflammation. This happens due to the enlargement of the tiny blood vessels (capillaries) on the surface of the skin, which gives a flushed appearance, often resulting in acne and pimples. Although rosacea can affect anyone, it is more frequent in women and more severe in men. It usually appears between the ages of 30 and 50 years with frequent flushing as the first sign. As the redness becomes persistent, the capillaries enlarge and bumps are formed on the surface. How Long Does Facial Flushing From Rosacea Last? Although symptoms can flare up as you progress in age with increased redness and visible blood vessels, rosacea is not accompanied with permanent scarring. Spanning a range of minutes to hours, facial redness is initially transient but becomes permanent with the progression of the disease. Aggravated rosacea cases can lead to a loss of self-esteem and decreased social interaction due to the visible changes in facial features. Keep your face covered and avoid exposing your skin to sunlight between 10 am and 4 pm. Always wear a sunscreen that is rated SPF 30 or higher. Get acquainted with triggers that can cause a possible flare-up in your skin and maintain a record of the same. Take note of your eating and lifestyle habits on days when you notice symptoms. You can use this to consult with your doctor for a better diagnosis of your triggers and avoid them in the future. Use skin-friendly products that are gentle on your skin. Avoid using products that can irritate your skin. Avoid picking on your skin as well as scrubbing your face during a flare-up. Take care of your eyes. Gently wash your eyelids with a product made for the eyes. Apply a warm, wet cloth several times a day. Use artificial tears if your eyes feel dry, or talk to your doctor about medicine you can put into your eyes. Cut out your consumption of alcohol, spicy foods, and processed foods, which can aggravate your condition. As rosacea can manifest itself in varied forms, self-help measures and dietary changes are not enough. It is advised to visit a dermatologist for tailored treatment. With no clear diagnostic tests available for rosacea, your doctor will examine your face. To confirm the underlying cause of rosacea, he will ask for symptoms and consider your medical history. Although there is no sure-shot cure for rosacea, simple home remedies can curtail its symptoms. 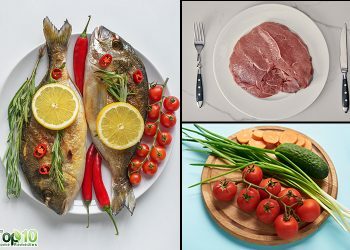 Dietary changes can support the management of rosacea. An imbalance in intestinal microflora can lead to a worsening of rosacea symptoms. With antioxidant, anticarcinogen, anti-inflammatory, and photoprotective properties, green tea can prevent pustules from developing on the affected skin surface. Prepare a cup of green tea. Keep it in the refrigerator for half an hour. Soak a washcloth in it and dab it on the affected area. 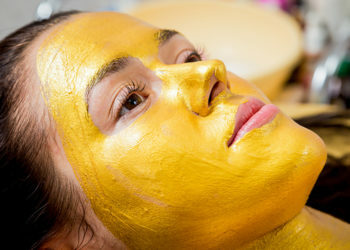 This will relax your skin and decrease redness and inflammation. 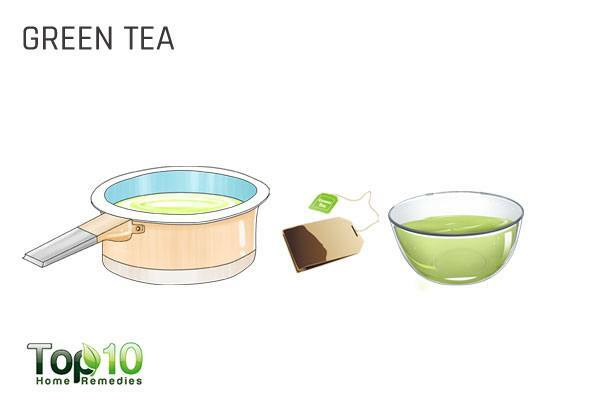 Incorporate green tea in your daily diet. Drink it twice a day. 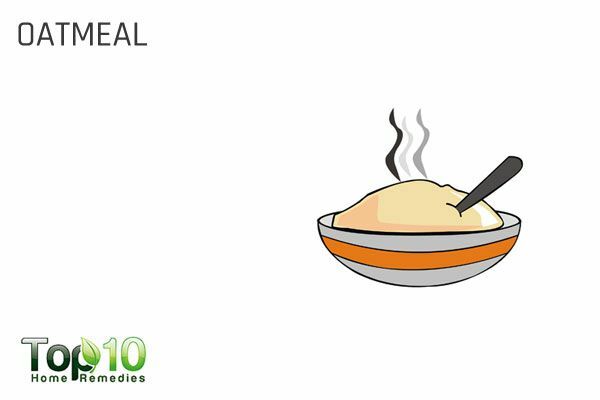 The anti-inflammatory properties of oatmeal can take the edge off by reducing the redness, inflammation, and itching. To 1/2 cup of powdered oatmeal, add 1/4 cup of water. Apply this mixture on the affected areas. Rinse it off with cold water, and pat your skin dry with a soft towel. Repeating this twice daily can give amazing results. The potent anti-inflammatory properties of licorice may mitigate redness and skin irritation. Furthermore, licorice extracts can increase the yield of new skin cells, which can help keep the associated symptoms of rosacea at arm’s length. 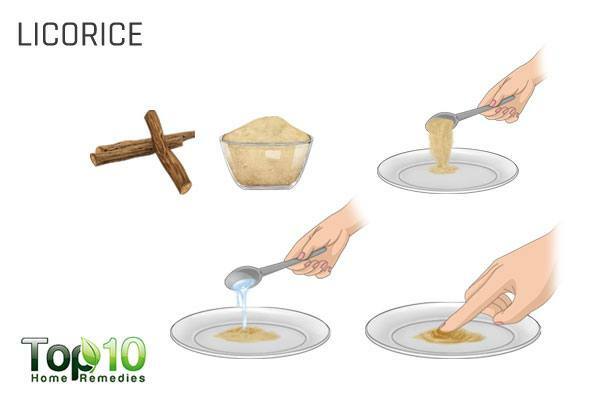 Mix 1 teaspoon each of aloe vera gel and honey and 1 tablespoon of licorice powder. Apply this mixture on the affected region. Wash it off with lukewarm water and pat the area dry. Apply this mixture for 4-8 weeks twice daily for best results. Well known for its anti-inflammatory properties, lavender oil is a maestro when it comes to healing skin problems. 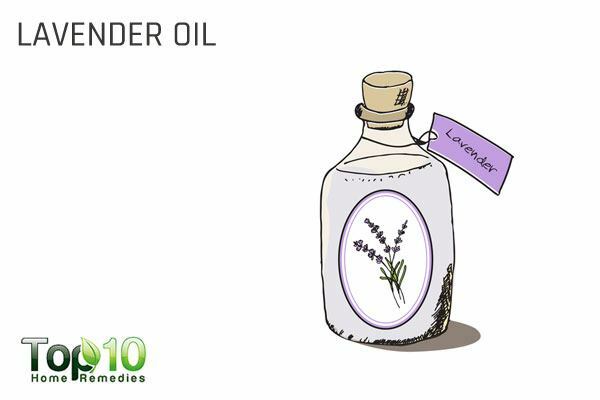 The antiseptic properties of lavender oil can potentially combat a rosacea flare-up by reducing the bacterial load of the skin. To use lavender oil for rosacea, dilute it in coconut oil or another carrier oil and apply the oil mixture on the affected areas of rosacea. To 1 tablespoon of almond oil, add a drop of lavender oil. Use this mixture to gently massage your facial skin. Leave it on overnight. Wash your face the next morning with lukewarm water. Follow this remedy until you see a change. Note: Always use pure therapeutic-grade lavender oil. Always do a patch test before using it as it may cause skin irritation in some cases. The natural antimicrobial, antioxidant, and anti-inflammatory properties that are harbored in every drop of honey are commendable. 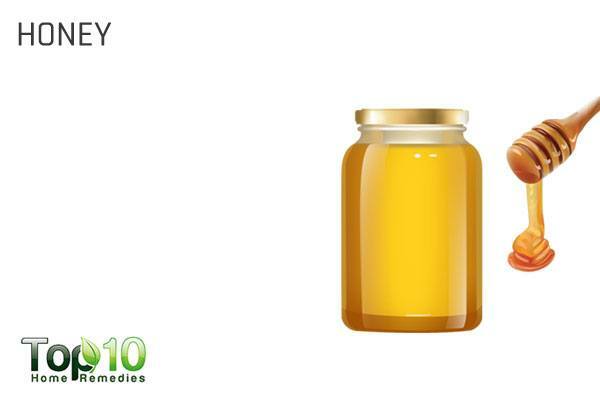 Honey has moisturizing properties that can prevent rosacea by targeting a breakout of pimples and acne. Massage your face with raw organic honey. Leave it on for 20 minutes. Rinse it off with lukewarm water. Try this twice a week. Stress levels can manifest itself in the form of skin irritation, rosacea, allergic reactions, acne breakouts, and inflammation. Engage yourself in activities that can reduce your stress levels. You can manage your stress levels by including meditation, yoga, music, and art in your daily routine. Aloe vera is worth all the praises that are showered upon it when it comes to rejuvenating and soothing your skin. It’s anti-inflammatory and healing properties can lessen the levels of redness and irritation that are related to rosacea. Oral use of aloe vera is recommended as a way to detoxify the body and enhance the healing process. 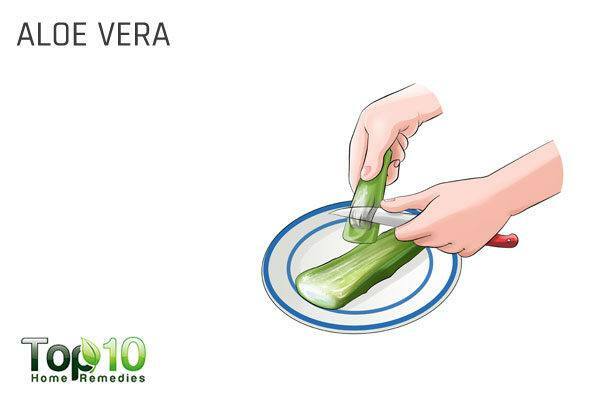 Add 1 tablespoon of aloe vera juice to 1 glass of water. Drink this mixture twice daily. Apply aloe vera gel on the affected regions. Keep it until dry. Dab the affected area with lukewarm water. Do this remedy twice daily. 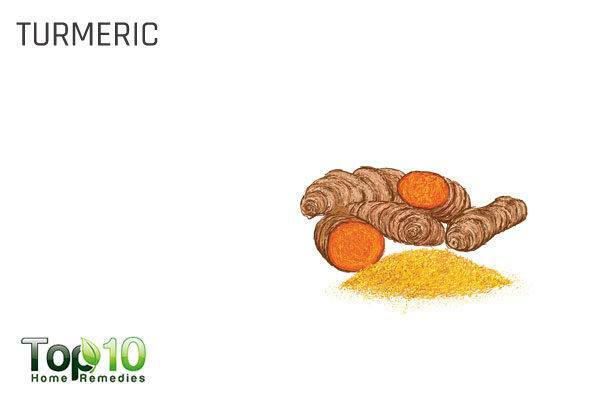 The use of turmeric as a therapeutic has been documented since ages. Its potent anti-inflammatory and antimicrobial properties can keep the primary symptoms of redness and inflammation at bay. Drink turmeric milk. Mix 1 teaspoon of turmeric to 1 glass of milk. Drink this milk daily. Mix 1 teaspoon of turmeric to 1 tablespoon of yogurt and 1 teaspoon of honey. Clean the affected area and pat it dry. Apply the mask on the affected area. Cucumber is packed with water up to the brim and is replete with vitamin C. This composition makes it an ideal candidate to soothe your skin and reduce facial swelling. Cut a cucumber into thin slices and refrigerate them. Apply these thin slices to the affected skin surface to reduce the redness. Apply the following super booster DIY cucumber toner on your skin. Cut a medium cucumber into pieces and blend it into a puree. Strain the puree using a cheesecloth. Mix the cucumber juice with 1 tablespoon of honey. Pour this mixture into a clean bottle. Soak a cotton ball with this mixture and dab it on the affected region every morning and evening. The rich composition of terpenoids and flavonoids in chamomile makes it a natural relaxant. Besides being calm on the skin, the anti-inflammatory properties of chamomile target the associated inflammation and redness. To 1 cup of boiling water, add a chamomile tea bag. Let it steep for 10 minutes. Refrigerate the solution until cold. Dip a washcloth in the solution. Wring out the excess liquid. Place the damp cloth on the inflamed skin until it’s cold. Try this 3-4 times a day. Note: To reduce the risk of an allergic reaction, perform a patch test. Flaxseeds are packed with omega-3 fatty acids that aid in reducing and controlling the inflammation associated with rosacea. 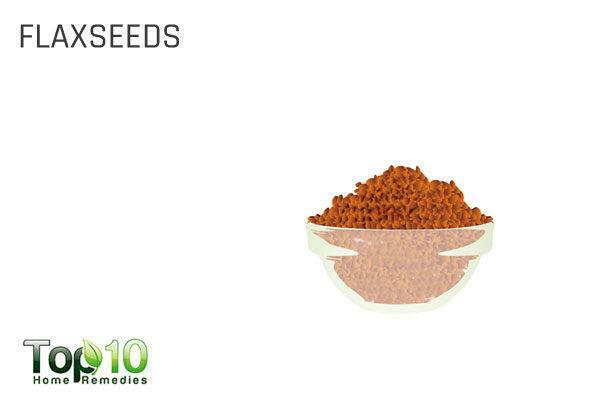 Include flaxseeds in your diet. You can consume a tablespoon of flaxseed oil or use flaxseeds to top your salads, blend it into smoothies, or eat it with a glass of milk. Note: Avoid any intake of medicines after 1-2 hours of flaxseed consumption. Rosacea can start as rosy cheeks and encompass your entire face in a shade of red that’s no good. Along with the perpetual redness and facial swelling, rosacea can affect your eyes, nose, and consequently your self-esteem. Although there are no ultimate treatment methods for rosacea, this condition demands a tailored treatment. With a tendency to aggravate with age, it is of paramount importance to determine and avoid the probable causes and mitigate the symptoms of rosacea. A few changes in the diet, following natural remedies, avoiding known triggers, and a gentle skin care regimen can help in reducing flare-ups in an existent case. Mikkelsen CS, Kjellman P, Heidenheim M. Rosacea: a Clinical Review. Dermatology Reports. https://www.ncbi.nlm.nih.gov/pmc/articles/PMC5134688/. Published June 23, 2016. Triggers could be causing your rosacea flare-ups. American Academy of Dermatology. 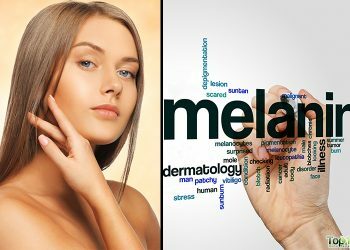 https://www.aad.org/public/diseases/acne-and-rosacea/rosacea/triggers-could-be-causing-your-rosacea-flare-ups. Weiss E, Katta R. Diet, and rosacea: the role of dietary change in the management of rosacea. Dermatology Practical & Conceptual. https://www.ncbi.nlm.nih.gov/pmc/articles/PMC5718124/. Published October 31, 2017. Zink A, Hoffmann CT. Green tea in dermatology – myths and facts. JDDG: Journal der DeutschenDermatologischen. https://onlinelibrary.wiley.com/doi/full/10.1111/ddg.12737. Published July 14, 2015. Syed T, Aly R, Wong W. Management of papulopustular rosacea with 2% polyphenone (green tea extract) in a hydrophilic cream: A placebo-controlled double-blind study. Plum X Metrix. https://www.jaad.org/article/S0190-9622(04)02800-2/abstract. Published March 2005. Weinkle AP, Doktor V, Emer J. Update on the management of rosacea. Clinical, Cosmetic and Investigational Dermatology. https://www.ncbi.nlm.nih.gov/pmc/articles/PMC4396587/. Published April 7, 2015. Yaghoobi R, Feily A. oatmeal in dermatology. Indian Journal of Dermatology, Venereology, and Leprology. https://www.researchgate.net/publication/235995930_oatmeal_in_dermatology. Published 2012. Goldgar C, Keahey DJ, Houchins J. Treatment Options for Acne Rosacea. American Family Physician. https://www.aafp.org/afp/2009/0901/p461.html. Published September 1, 2009. Saric S, KA, K R. The Role of Polyphenols in Rosacea Treatment: A Systematic Review. The Journal of Alternative and Complementary Medicine. https://www.liebertpub.com/doi/abs/10.1089/acm.2016.0398?mobileUi=0&journalCode=acm. Published December 1, 2017. Ali B, Shams S, Ahamad A. Essential oils used in aromatherapy: A systemic review. ScienceDirect. https://www.sciencedirect.com/science/article/pii/S2221169115001033. Published July 10, 2015. Holt S, Braithwaite I, Hunt A. A topical kanuka honey formulation is an effective treatment for rosacea. JAAD. 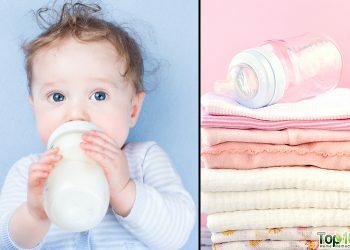 https://www.jaad.org/article/S0190-9622(15)00281-9/fulltext. Published May 2015. Holliday M, Weatherall M, Beasley R. Randomised controlled trial of topical kanuka honey for the treatment of rosacea. Complementary medicine. https://bmjopen.bmj.com/content/5/6/e007651. Published June 24, 2015. Veerkamp P, Mousdicas N, Bednarek R. Rosacea Fulminans Precipitated by Acute Stress: A Case Report Describing an Integrative Approach for a Patient Reluctant to Use Isotretinoin. Integrative Medicine. https://www.ncbi.nlm.nih.gov/pmc/articles/PMC5312834/. Published December 2016. Heisig M, Reich A. Psychosocial aspects of rosacea with a focus on anxiety and depression. Clinical, Cosmetic and Investigational Dermatology. https://www.ncbi.nlm.nih.gov/pmc/articles/PMC5844253/. Published March 6, 2018. Surjushe A, Vasani R, Saple DG. ALOE VERA: A SHORT REVIEW. Indian Journal of Dermatology. https://www.ncbi.nlm.nih.gov/pmc/articles/PMC2763764/. Published 2008. Forest JM, Rafikhah N. Aloe vera Juice and Acne Vulgaris: A Placebo-Controlled Study. Asian Journal of Clinical Nutrition. https://scialert.net/fulltextmobile/?doi=ajcn.2014.29.34. Published 2014. Murad H, Nyc MA. EVALUATING THE POTENTIAL BENEFITS OF CUCUMBERS FOR IMPROVED HEALTH AND SKIN CARE. JARCP The Journal of Aging Research & Clinical Practice. http://www.jarcp.com/3050-evaluating-the-potential-benefits-of-cucumbers-for-improved-health-and-skin-care.html. Published 2012. Thanks, I like all your remedies. I love this website… when I think back, my grandmother and my mother used a lot of these wonderful natural remedies for their skin. My grandmother lived to be 102 and her skin was still beautiful. My mother is in her 70’s and she has incredible skin… she looks as if she is in her 50’s. Thank you for this wonderfully, useful information. For dry patches i use 100 mph tape..i tear a bit off place on the dry thick bumpy skin and rip it off..it removes all the dry bits so easy. Sounds awful but isnt that bad lets face it whats better dry thick skin on your face or smooth Then i put manuka honey on it only manuka not the cheap sugary rubbish from the supermarket . ( do not use tape if wounds are weepy only when dry ) . also i use chamomile tea when my face gets hot and itchy its soothing …my morning shower i use tee tree oil soap and once a week i do a mud pack. My face has gone from being bright red veiny and covered in weeping dots and looking like something from a horror film to pretty much clear. . i tried all the fancy creams from the doctor at $90 a tube they just made my face burn and go red . ..good luck X.
I’ve been experimenting with various remedies. The 2 things that have worked best for me are; calamine lotion (during a flare-up), and virgin coconut oil (for prevention when I’m not having a flare-up).